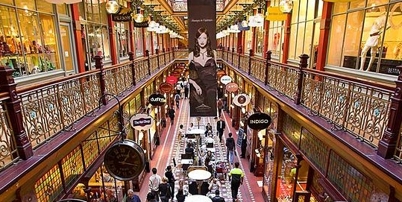 From 2001, TERROIR was involved in the Retail Fitout Management for The Strand Arcade, undertaking Design Reviews of proposed fitouts as part of a more complex management structure for almost a decade. The Strand Arcade was the last of the arcades built in Victorian Sydney. TERROIR experience with heritage issues was a continuing factor in the successful outcomes that are achieved at the highly significant heritage centres of the Strand Arcade. Our work on this building over the years included not only Retail Fitout Management but advice in regard to arcade configuration, lighting, and the establishment of criteria for the successful fitout of small retail spaces.